Assembly language is used to write programs in terms of the basic operations of a processor. This is a tutorial in the assembly language for the MIPS32 processor chip. 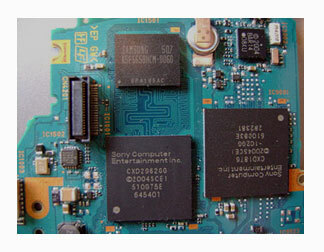 This tutorial uses the SPIM simulator of the chip rather than actual hardware. The architecture of a computer is a logical description of its components and its basic operations. In pure assembly language one assembly language statement corresponds to one basic operation of the processor. When a programmer writes in assembly language the programmer is asking for the basic operations of the processor. The architecture of the processor is visible in every statement of the program. Pure assembly language is rare. Most application programs are written in a high level language. Even when assembly language is used it usually has been enhanced. Features are added to it to make it more programmer-friendly. This extended assembly language includes statements that correspond to several basic machine operations. The MIPS extended assembly language does this, but the processor chip is still visible. Programs in high level languages such as C or Pascal are (mostly) independent of the processor they run on. Programs in Java are totally independent of the processor. But in assembly language the program is written totally in terms of the processor. This chapter starts out a tour of assembly language. Do all processor chips have the same architecture?